Following the success of ‘Transmissions 2015’, Bophana Audiovisual Resource Center renews this experience in 2018. Transmissions 2018 can be considered as an online exhibition on intergenerational dialogue between the Khmer Rouge survivors and youth. 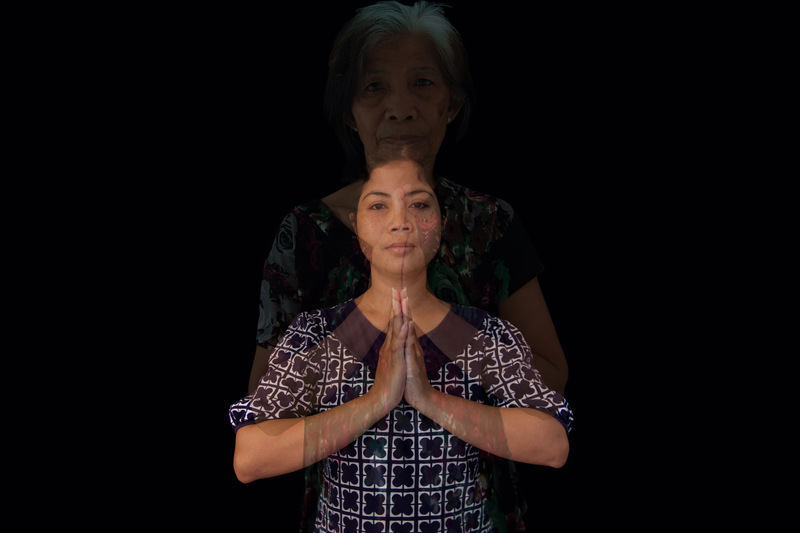 Through documenting and sharing their personal stories, ‘Transmissions 2018’ focuses on the importance of “acts of memory” for Cambodian people to move forward. After the collapse of the Khmer Rouge, a wide gap in knowledge remains between those who survived the horrors of the regime and those who were born later. In families, intergenerational dialogue happens between parents and children. Such is the case of Mr. IM Bunchhoeun and Mrs. SOEUN Chanthorn, Khmer rouge survivors, who retrace their path from 1975 to 1979 with their children who were born after the Khmer rouge. Mrs. CHAN Phai details her personal story under the Khmer rouge: how she was displaced by the Khmer rouge’s agricultural policy; how they separated her from her husband; how much it hurt her when she was ordered to marry another man; and how vulnerable she was while detained in a KR prison as a witness of sexual violence suffered by fellow female prisoners. Mrs. IM Sameth, primary school teacher at Kompong Prieng in Battambang province and civil party in case 002/02 at the Khmer rouge tribunal, was a high school student when the Khmer rouge rose in power. She was married to Long Chhoeun who was a base people. It was a collective marriage arranged by Angkar (the Khmer rouge). In this interview, they recall their past under this regime, especially their revolutionary wedding. Mrs. Heng speaks about her married life under the Khmer rouge regime. On April 17, 1975, she was forced to evacuate from Phnom Penh to the countryside. In early 1976, she was forced into marriage in a cooperative in Battambang province. She was informed only one day before the wedding date. There was no traditional ceremony. The couple held hands and made their marriage commitment statement before KR cadres. At night, there were spies underneath the newlyweds’ house to check if they made love. If the couple didn’t do so, they were punished. The interview is conducted by Mrs. YIM Theary, psychotherapist/conflict and peace consultant. It concerns the married life of Mr. HENG (57 years old) under Pol Pot’s regime (1975-1979). The Khmer Rouge arranged a collective marriage for 9 couples in his cooperative. As a member of a youth mobile unit at that time, he was forced to marry a woman in whom he was interested but did not love him. They spent 7 or 8 months together before having sexual relations. They separated following the collapse of the Khmer Rouge, even though they already had three children together. Mrs CHEUK Sopha has an older brother and a younger sister. She was living in Battambang province with her father when the Khmer Rouge won the war against Lon Nol’s regime. Like other Cambodians, her family was sent to a worksite near Tonle Sap Lake. Sopha’s father died because of malaria and her brother was killed by the Khmer rouge. They accused him of being CIA. She was forced to marry her husband, who was later killed. In 1975, Mrs.TEU Ry was taken by the Khmer Rouge to Koh Kchorng. Due to her Cham ethnic identity, she suffered a lot: she was forced to eat pork, cut her hair, and do heavy labor. The Khmer Rouge forced her to get married to a stranger. There were around 20 couples at that time. Fortunately, her selected husband didn’t show up. He escaped to Vietnam. Mrs Teu was sent to a KR prison in Koh Kchorng where she witnessed cruelties committed by Khmer Rouge guards, who killed prisoners and ate their intestines. Because of poverty and civil war, Mrs. DOEUK Som couldn’t go to school. In 1974, Khmer Rouge soldiers arrived to her village in Pursat province and made inhabitants go to the forest with them. The Khmer rouge indoctrinated the villagers in their ideology and sent them to fight against Lon Nol’s forces barehanded. After the victory of Khmer Rouge, she, like other Cambodians, was sent to build dikes and canals. She was arrested and imprisoned in 1977 after being accused a traitor. She was tortured with electric shocks and forced to do heavy labor until mid-1978. A few months later, she was forced to get married. Her husband left her with their children after the collapse of the Khmer Rouge regime. Mrs. SOT Lah, a 57-year-old Khmer muslim, is interviewed by the psychotherapist YIM Theary about her life under the Khmer Rouge regime. Because of her ethnicity, she was badly treated by the Khmer Rouge and ‘Old People’. She was evacuated to Chhouk (Kampot province), where she was forced to get married in late 1975.